If you think the Honda Civic Type R looks a little...loud, this isn't gonna make things any better. 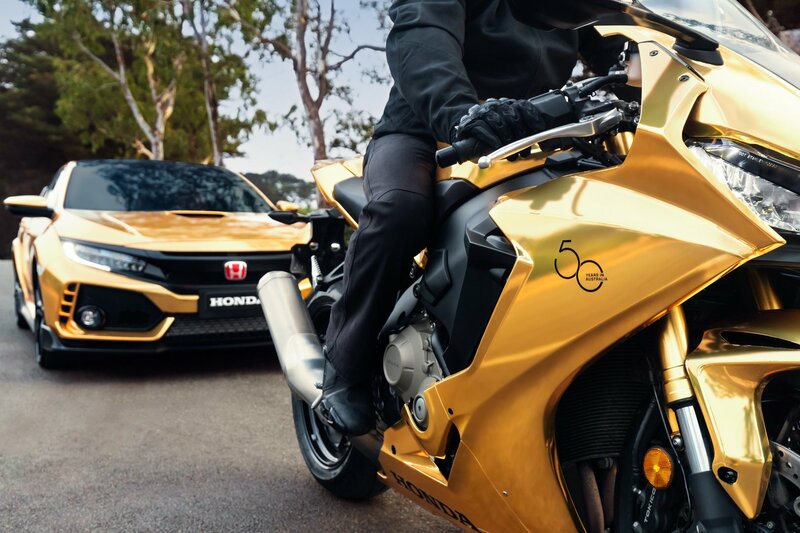 To celebrate 50 years of operating in Australia, Honda has wrapped a selection of their coolest products in gold. 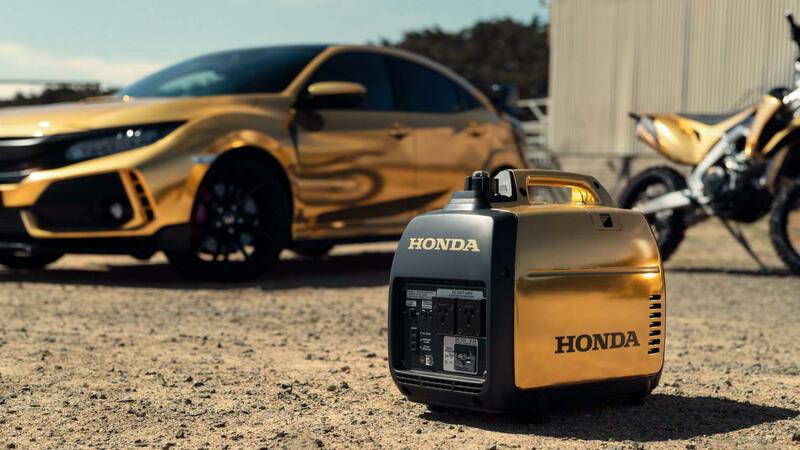 Alas, the automaker has gold-ified the two fastest cars in its current portfolio, the NSX and Civic Type R, a CBR1000RR Fireblade superbike, a pair of CRF dirt bikes as well as an HRU19 Buffalo Premium lawnmower and a EU22i generator. The Fireblade is cool but we couldn't help but think not including the Gold Wing in all of this is a bit of a missed opportunity. 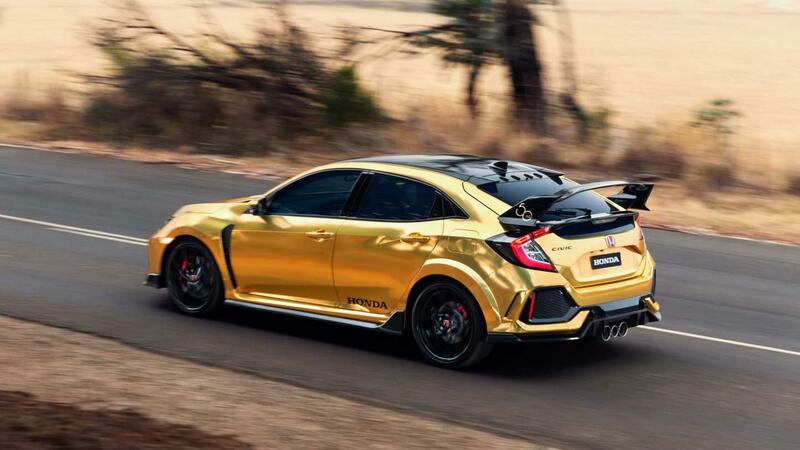 “Honda Australia was a Honda subsidiary set up primarily to sell cars, but it has since grown with the global Honda brand to deliver a wide range of products and services that help make people’s lives more enjoyable," said Honda Australia boss Hiroyuki Shimizu. "We thought about how we could celebrate our birthday and our unique diversity in a bold and fun way. I mean, who has ever seen a golden mower or generator before?" Created by Vinyl Wraps and Graphics in Melbourne, the gold chrome layers sit under a clear satin for a finish that supposedly dances with the light. 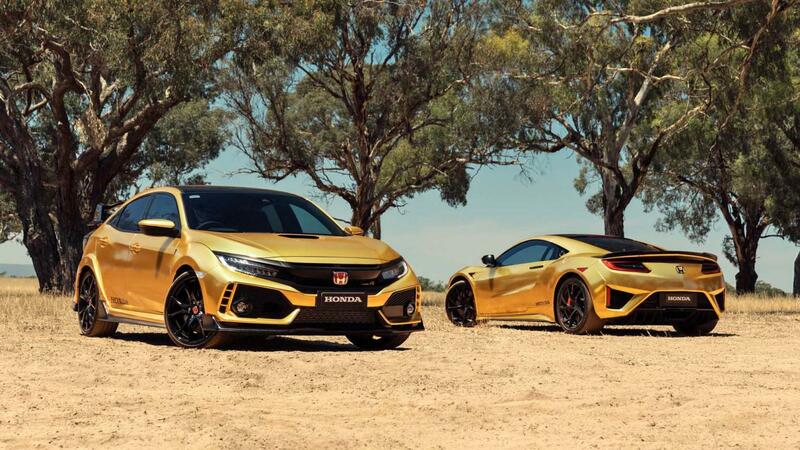 "We worked closely with the Honda Australia team on the design, with the gold theme highlighted with some satin black accents, such as on the badging and wheels of the NSX," said Vinyl Wraps and Graphics managing director Matt Czerny. "And it's not every day you get to work on a golden generator, everyone who's seen it wants one." To the chagrin of a certain Austin Powers villain, none of these Hondas will likely be available for purchase as they're all apparently one-offs made for celebratory purposes only. However, offer Honda enough cash and anything's possible.